A lion riding a dog, monkeys boxing a kangaroo, a fox riding a fire engine… This is one ride children won’t want to miss! 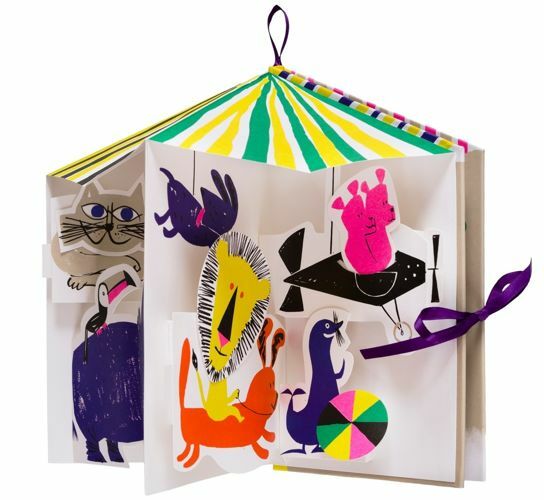 As the book unfolds and the carousel starts to turn, we see a troupe of characters march past in colorful array. How many animals do you see? What are they called? Each new spin brings new life to the tale; it invites a different story to be told, and a new world to unfold. The Carousel of Animals will enchant both young and old with the paper craftsmanship that is a signature of Gérard Lo Monaco’s work. 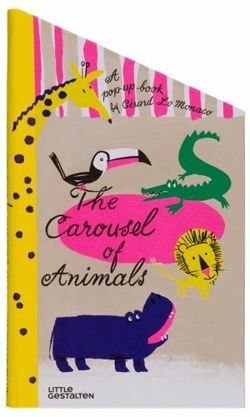 His striking illustrations captivate the imagination and delightful rhymes give pace to each spin of this madcap journey on the animal carousel. 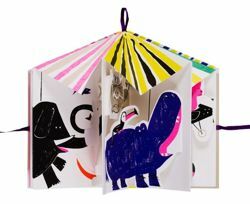 Gérard Lo Monaco is an Argentinian illustrator, art director and paper engineer living in Paris. His design and paper craftsmanship won him a Grammy Award in 2017 and his 3D pop-up books for children have been printed and published internationally. 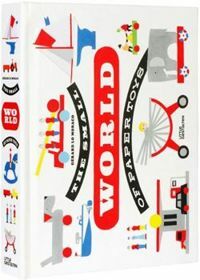 His titles include A Sea Voyage and The Small World of Paper Toys.